From ‘the lovemarks effect’ by Kevin Roberts. 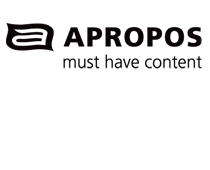 We at Apropos want to build an ‘almost intimate’ relationship with our audience. No one, besides their loved ones, will know more about their aspirations, fears, passions and talents than us.